The “Star Wars Holiday Special” of 1978 is something many fans would love to forget. For most, the best part of that Wookie variety show was the introduction of Boba Fett. 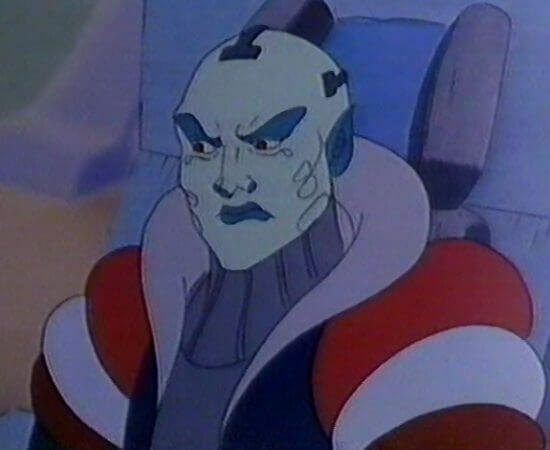 The cartoon creators earned further work from Lucasfilm as a result of that short segment. 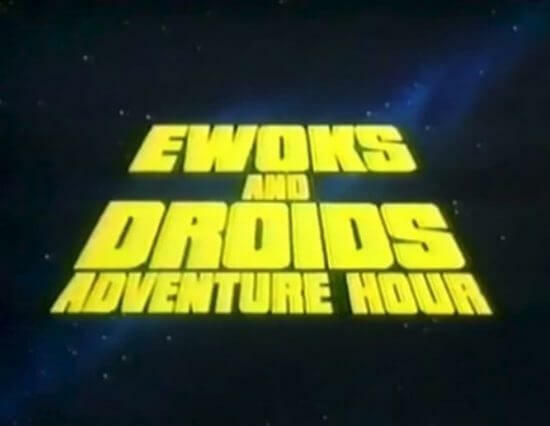 “Star Wars Droids: the Adventures of R2-D2 and C-3P0” and “Star Wars: Ewoks” found themselves part of the Saturday morning carton line up in 1985 and 1986. 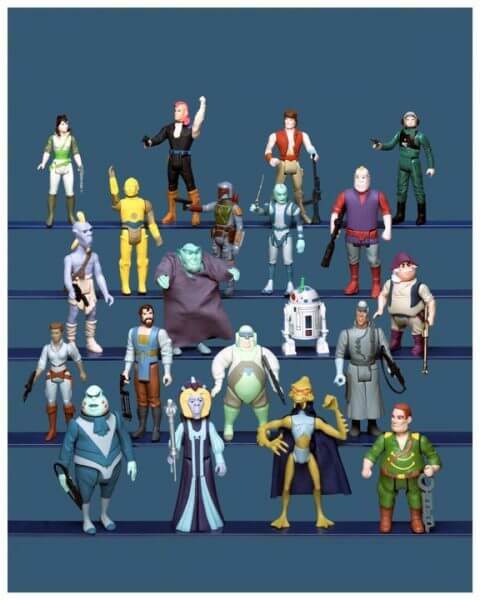 Though no longer canon, these two toons paved the path for future animation fun in the galaxy far, far away. 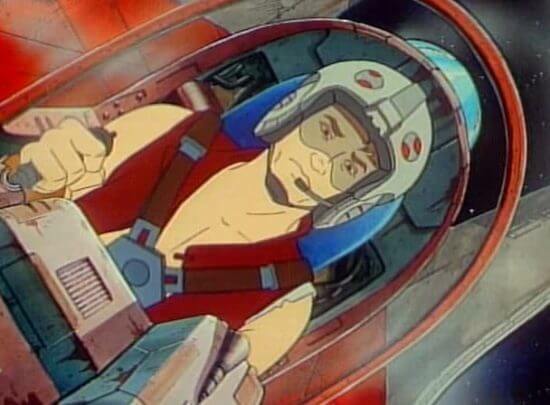 Canadian animation studio Nelvana (“Strawberry Shortcake,” “Care Bears”) produced the animated short that gave fans their first look at bounty hunter Boba Fett. This short scene earned the animators two new stories to develop for Lucasfilm. 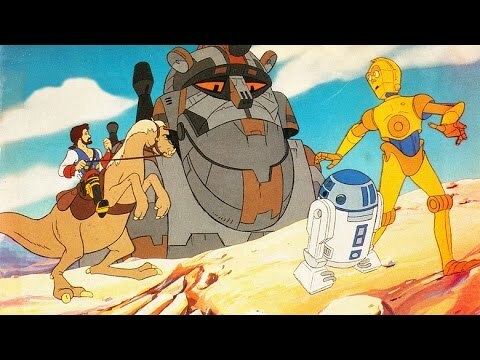 While this first animated Star Wars spin-off only survived a single season, three different story arcs were covered over the 13 episodes which aired between September 1985 and November 1985. Action takes place prior to “Star Wars: A New Hope.” Astromech R2 and protocol droid ‘3P0 found themselves tied to three different owners for each plot line. Anthony Daniels provided the voice for C-3P0 and Ben Burt wrote several of the stories. Episodes “The White Witch,” “Escape into Terror,” “The Trigon Unleashed,” and “A Race to the Finish” make up the first tale. Speeder bike racers Jord Dusat and Thall Joben become the droids’ new masters. 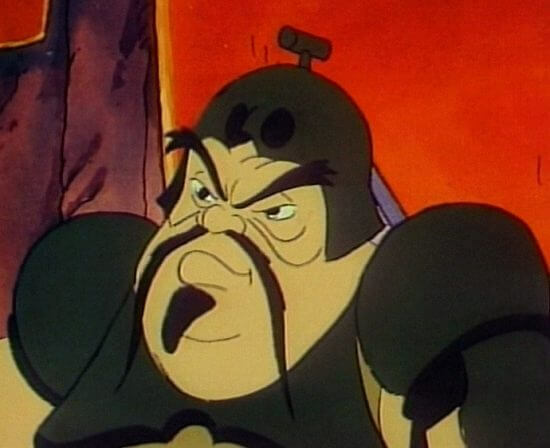 Villain Tig Fromm and his gang’s secret weapon, the Trigon, creates the conflict. The second set of stories (“The Lost Prince,” “The New King,” “The Pirates of Tarnooga,” and “The Revenge of Kybo Ren”) sees our chrome domed and copper clad heroes rescued by Jann Tosh. Encounters in this 5 episode adventure include bounty hunter IG-88 and a pirate named Kybo-Ren-Cha (inspiration for naming “The Force Awakens” and “The Last Jedi” antagonist Kylo Ren). “Coby and the Star Hunters,” “Tail of the Roon Comets,” “The Roon Games,” “Across the Roon Sea,” and “The Frozen Citadel,” the final four episodes, become last tale to be told. 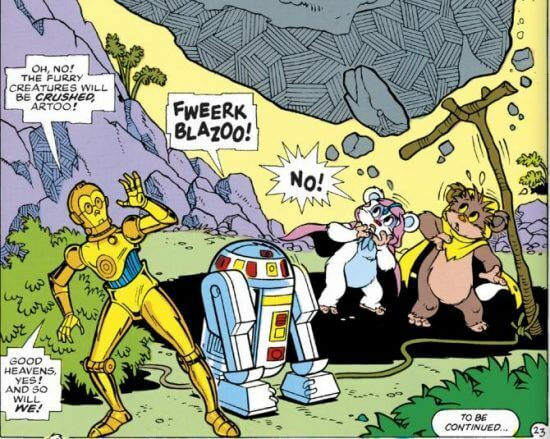 Merchant Mungo Baobab becomes the droids’ new master. This final story brought our heroes face to face with Stormtroopers and the Empire. “The Great Heep” would be the final feature for “Droids.” Sixty minutes of adventure pits R2 and 3P0 against a mega droid known as The Great Heep. 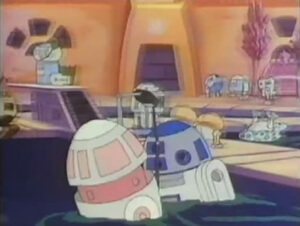 In this bizarre special (June 7, 1986), R2 ends up in a droid harem and has love interest. 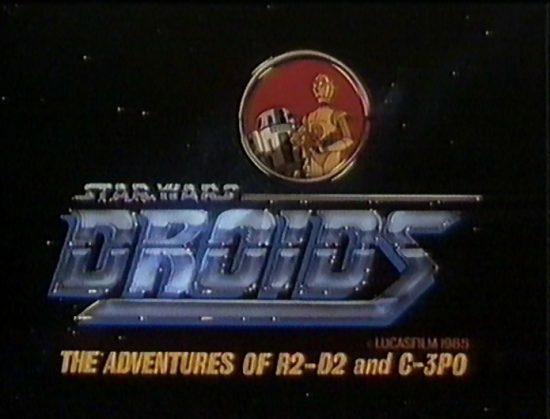 Though only a single season long, “Star Wars Droids: the Adventures of R2-D2 and C-3PO” did receive a brightly colored set of action figures from Kenner. 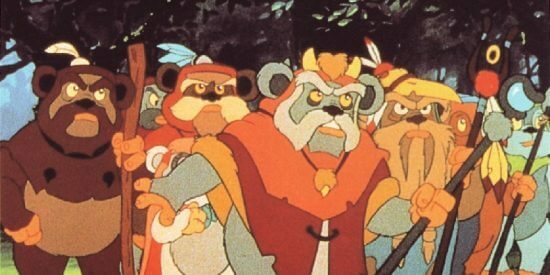 Across the 13 episodes in season one (September 7, 1985 – November 30, 1985), Wicket and his friends encounter aliens, gods, monsters and other rivals for a somewhat sophisticated set of stories (in that the second season took a lighter approach aimed at a younger audience). Second season, episodes 14-35, continues with discoveries and Endor encompassed stories. 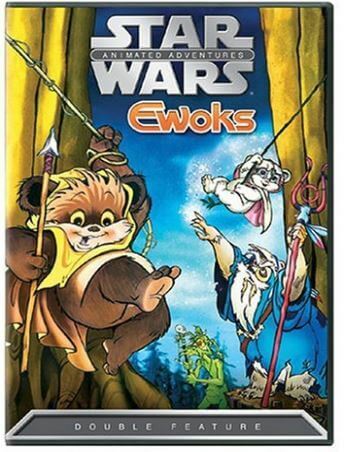 In the final episodes of this season, the furry creatures are finally brought into the larger realm of the Star Wars saga as the Empire shows up, ready to build the Deathstar. 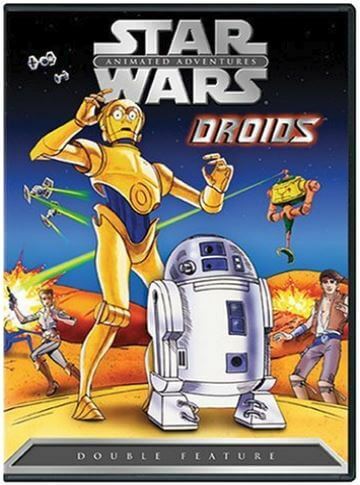 “Star Wars Droids: the Adventures of R2-D2 and C-3P0” and “Star Wars: Ewoks” mark the first animated series involving Star Wars characters. “Star Wars: Clone Wars” (2003-2005), “Star Wars: the Clone Wars” (2008-2014), “Star Wars Rebels” (2014-current), and “Star Wars Forces of Destiny” round out the cartoon collections. Both animated adventures also received their own comic book title from Marvel. As Disney plans to expand the Star Wars universe, and “Star Wars Rebels” ending next year, it will be interesting to see what the future holds for animating the galaxy far, far away. From the ITM Editor & Founder: Goodbye… but See Ya Real Soon!